It's time for an entertainment extravaganza! 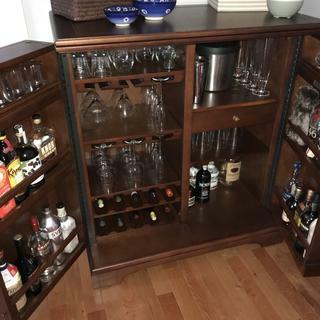 Howard Miller's wine and bar cabinet makes one the host (or hostess!) with the most. Two adjustable stemware racks, four adjustable wine rack shelves, and an expanding top get the party started! We are really enjoying the bar cabinet. It looks really great in our living room in stores everything we need.